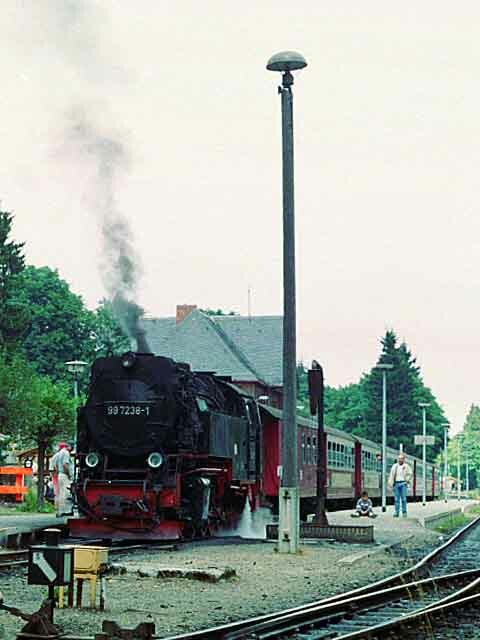 Our arrival at Drei Annen Hohne coincided with a busy period, all three platforms being occupied. 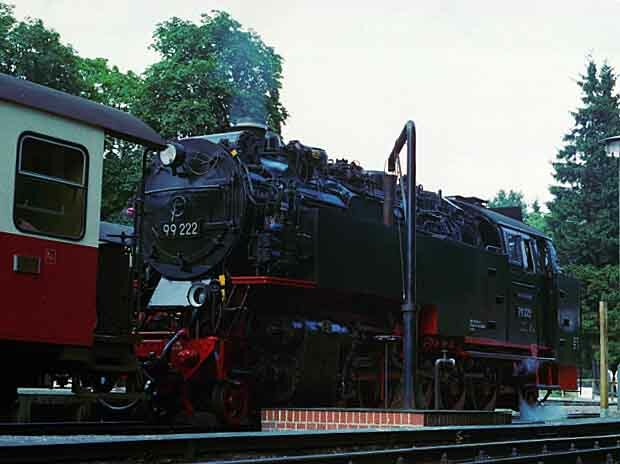 Left: 2-10-2T 99 7239-9 was at the south end about to depart for Wernigerode. 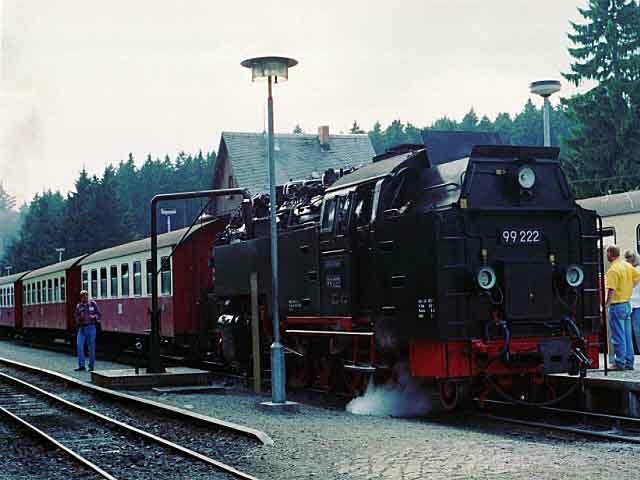 Right: At the north end were two more 2-10-2Ts, 99 7238-1 having arrived before us was standing next to 99 7232-4 which was standing at the head of a train to Gernrode. 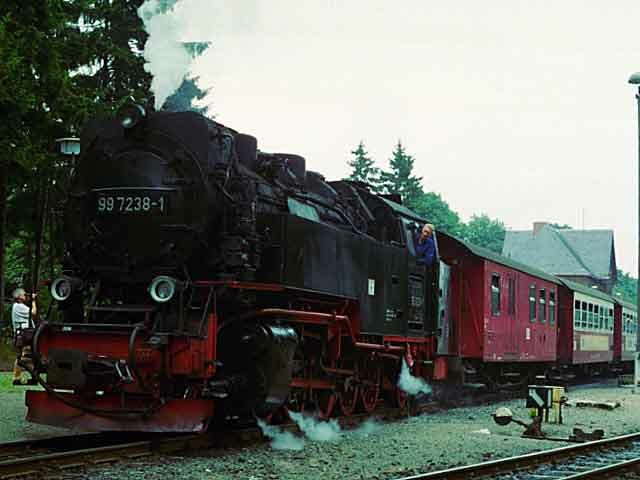 Below: No sooner had 99 7239-9 left than another train came down the line from Brocken, double-headed by Mallet 0-4-4-0T 99 5901 and 2-6-2T 99 6001. 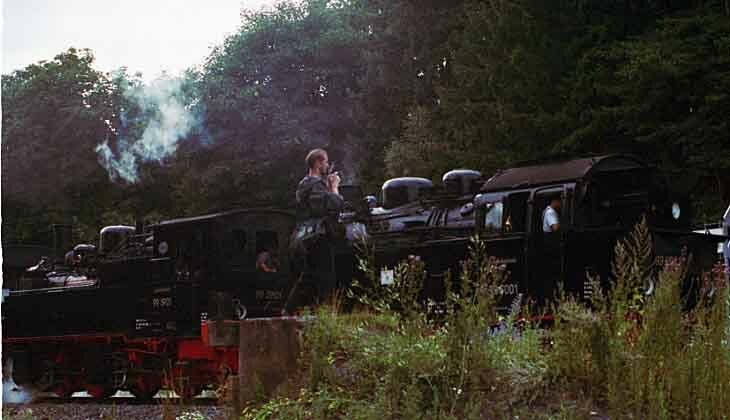 Left: 99 7232-4 has left and 99 7238-1 is about to depart also. 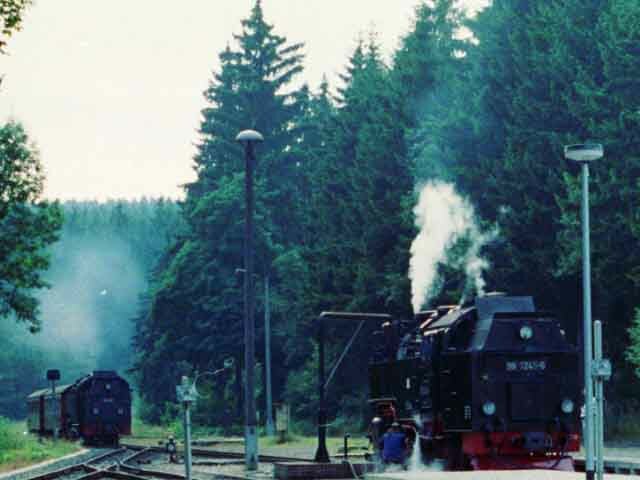 Right: 99 5901 and 99 6001 take water (top row) and then depart for Wernigerode (bottom row), leaving the station silent for a while. 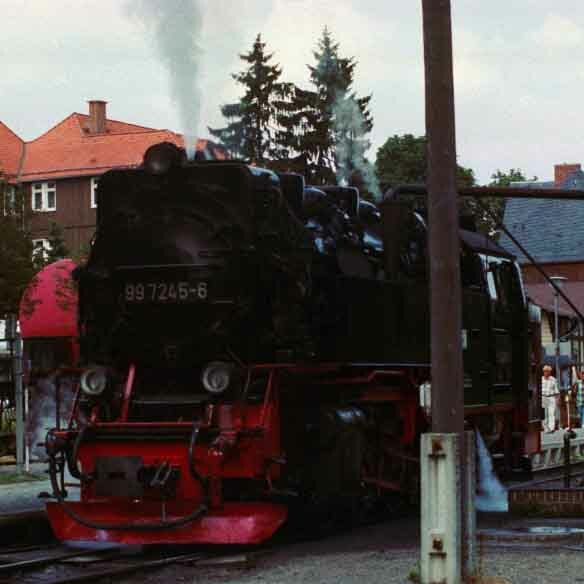 Right: Another 6 shots of the unique 99 222 as it pulls into the station. 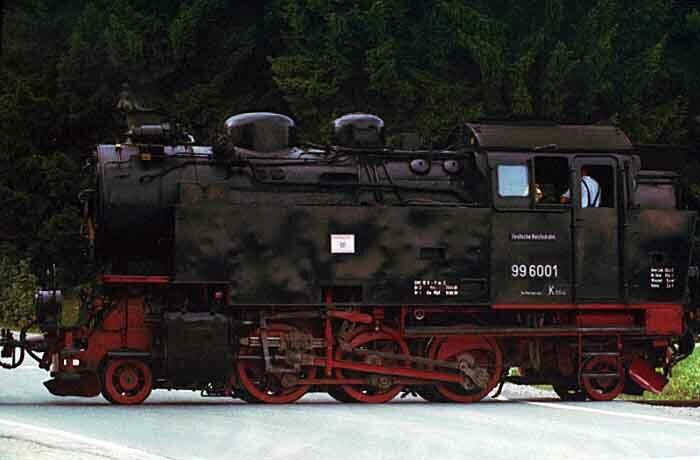 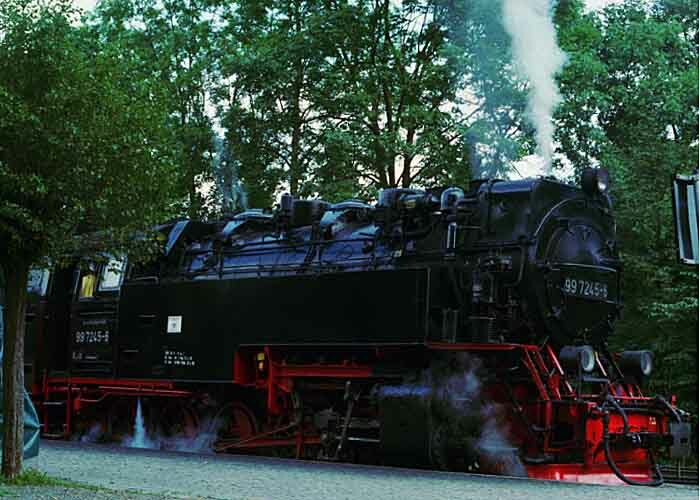 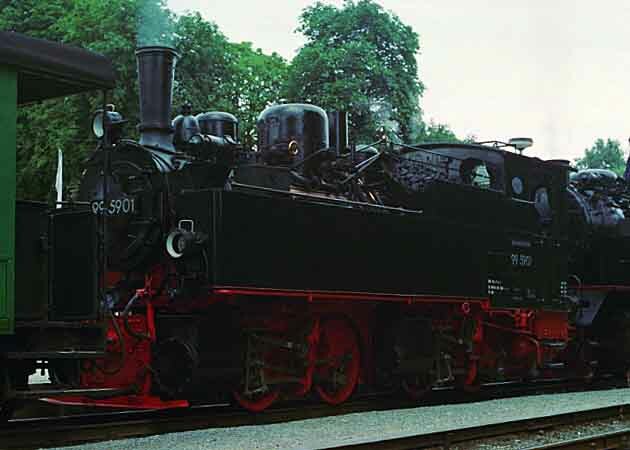 It was built by Schwartzkopff in 1931, the remainder being built by LKM Babelsberg between 1954 and 1956. 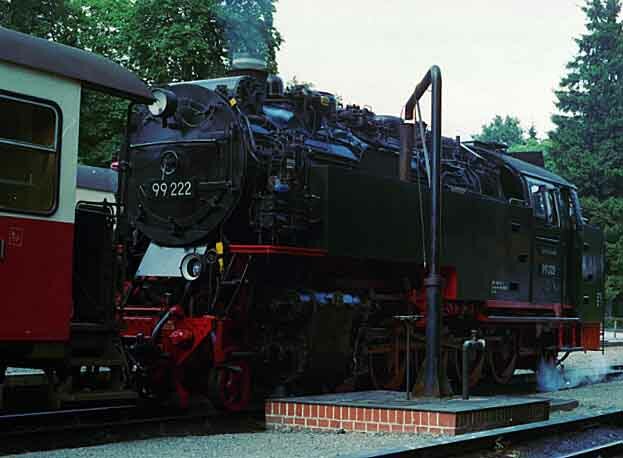 Above: 99 7245-6 prepares to depart on another working to Brocken. 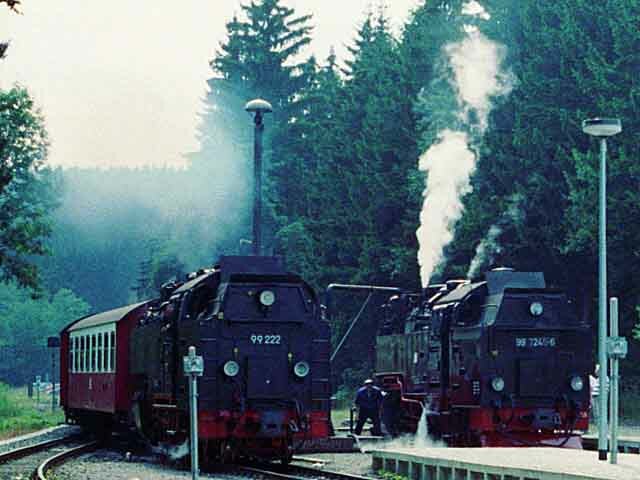 Left: 99 7236-5 approaches Drei Annen Hohne with a train from Wernigerode to Brocken. 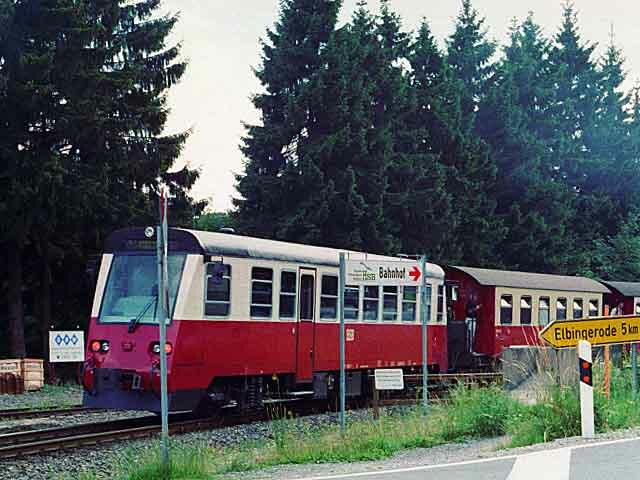 Attached to the rear is railcar 187 018-7 which will be detached here to form a service to Nordhausen. 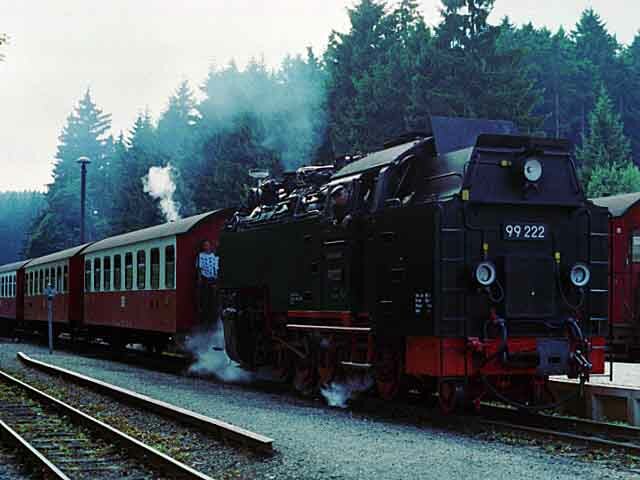 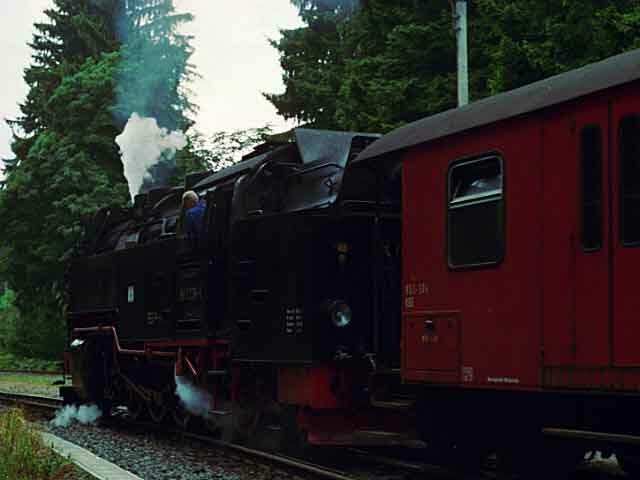 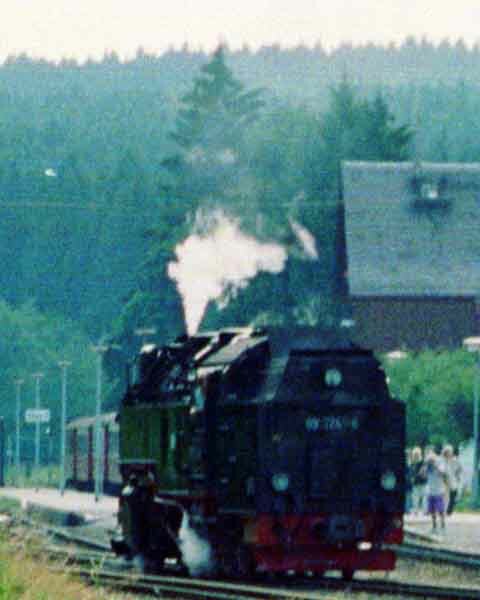 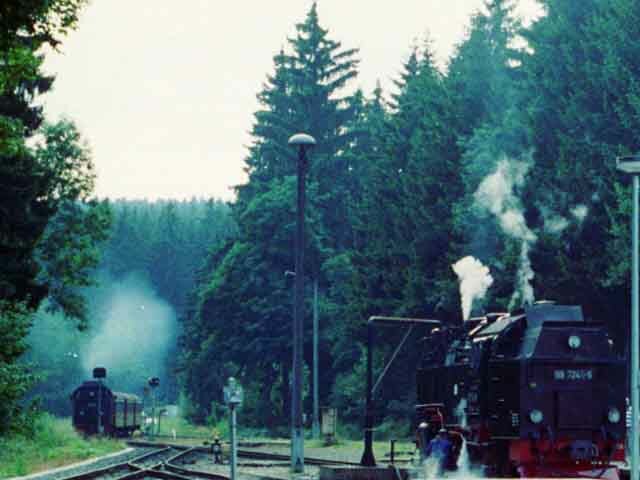 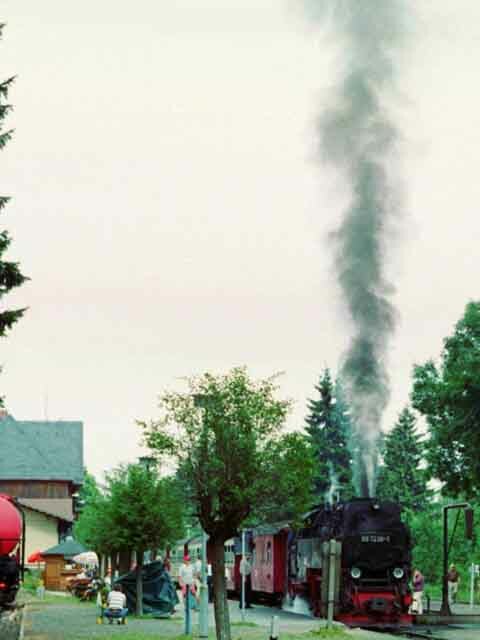 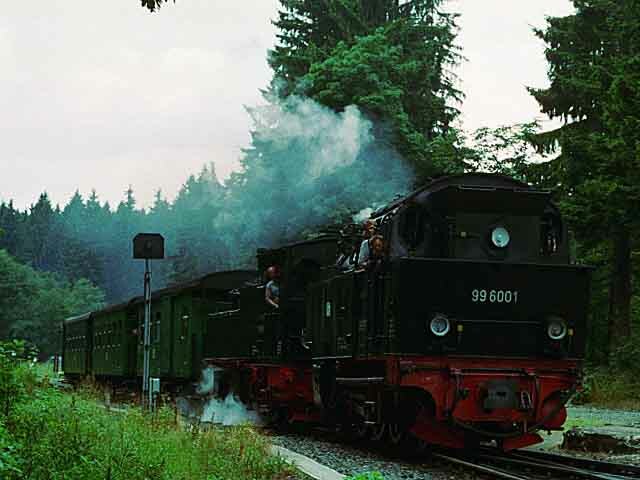 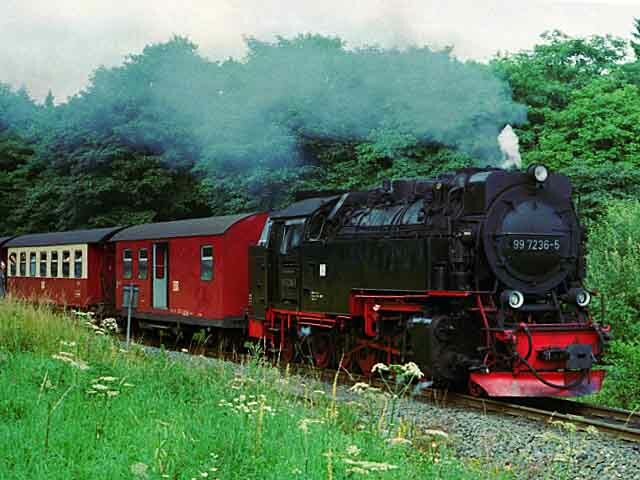 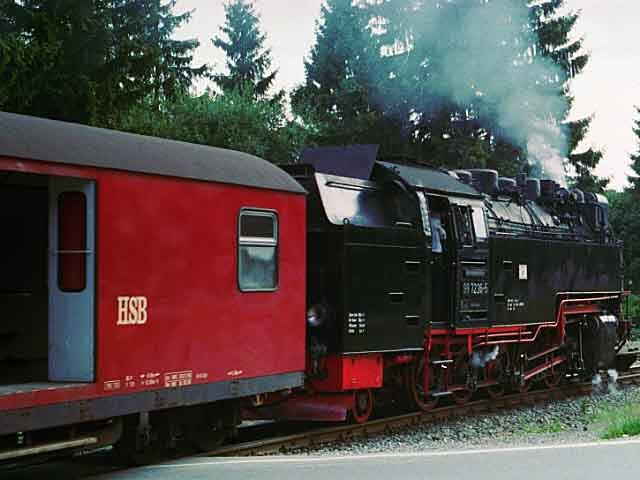 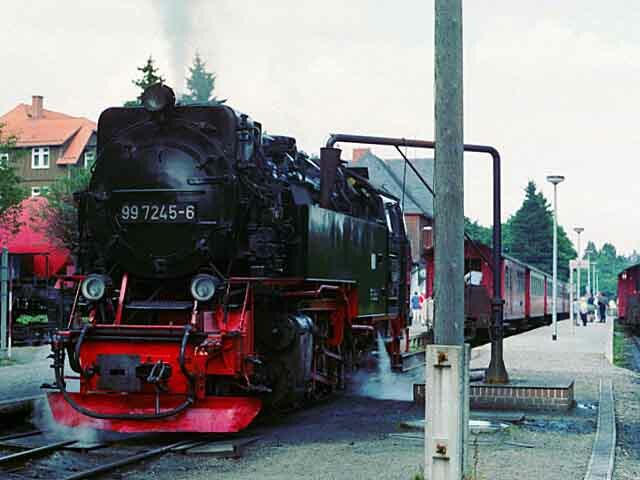 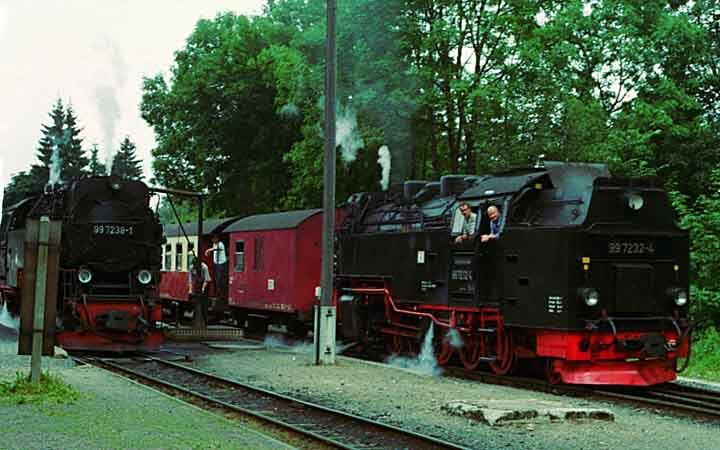 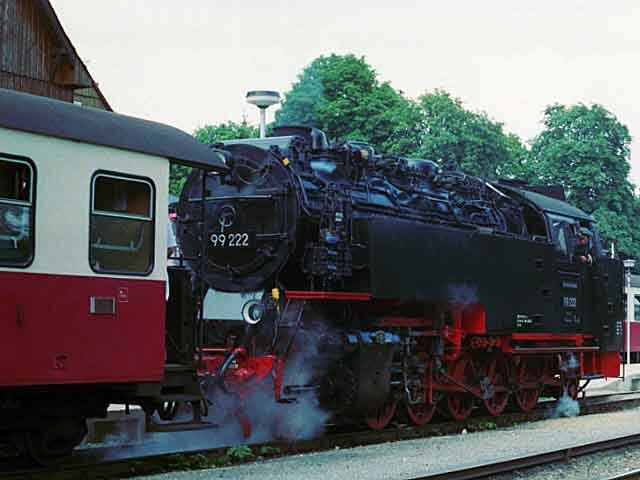 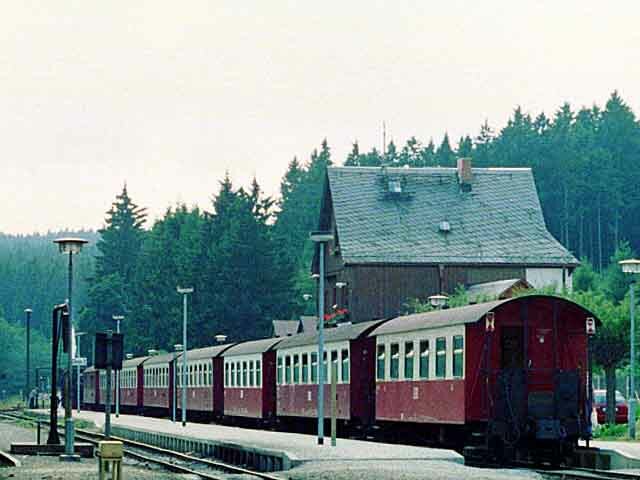 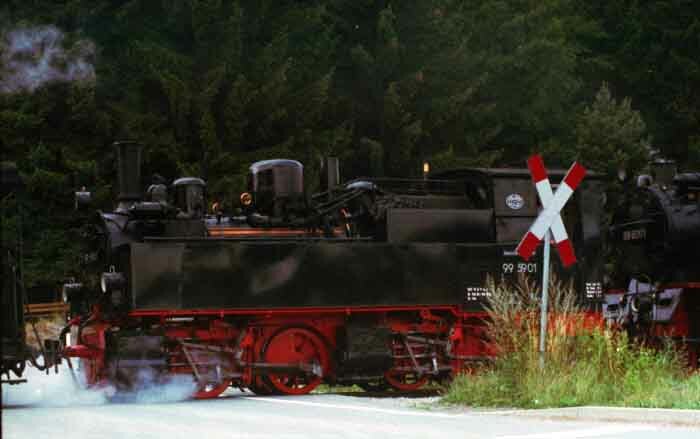 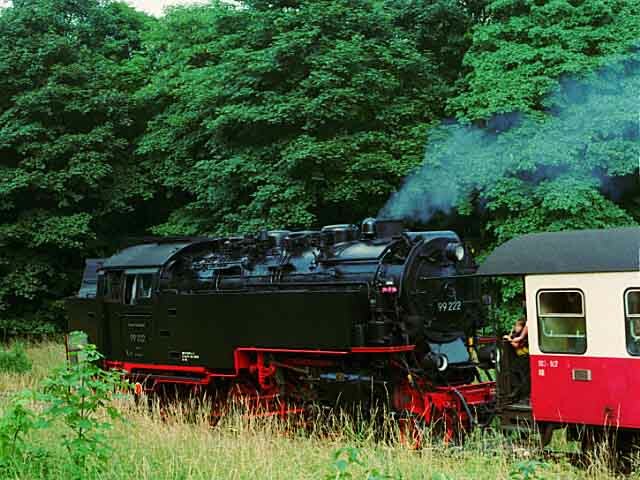 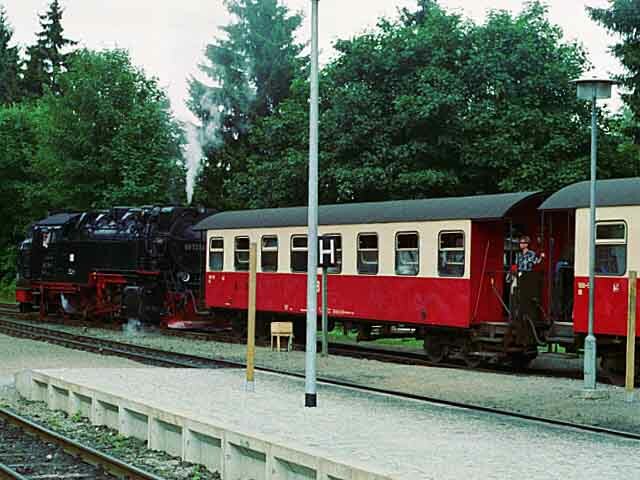 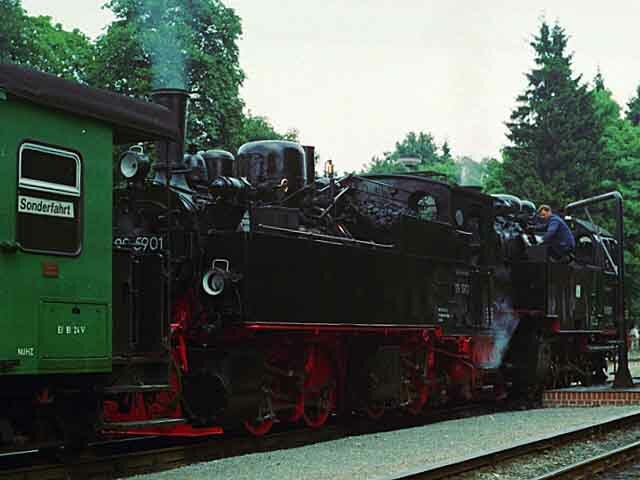 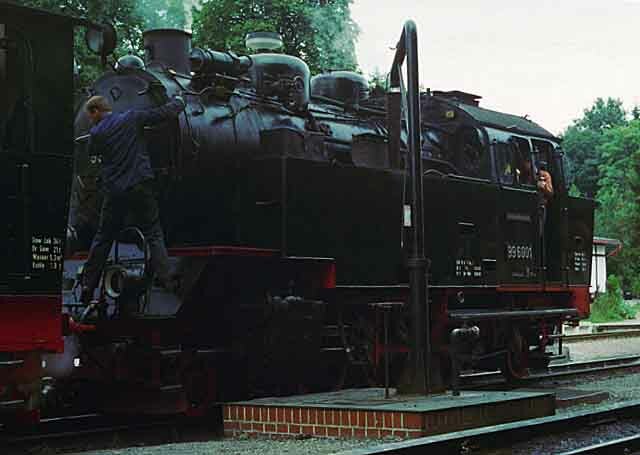 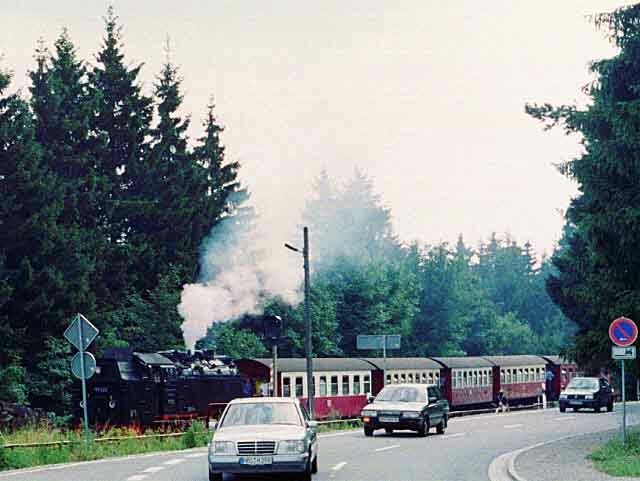 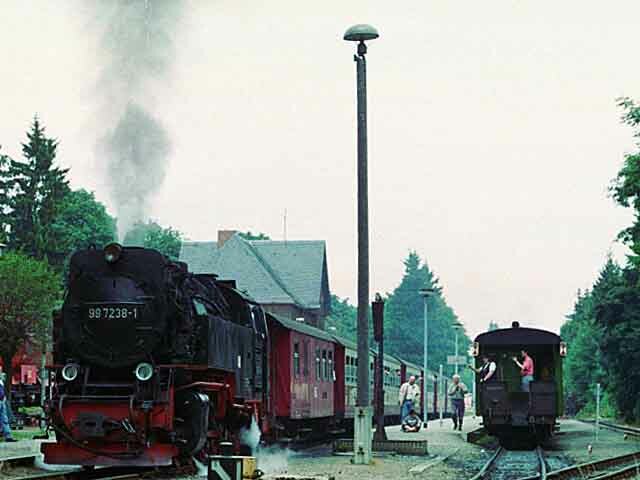 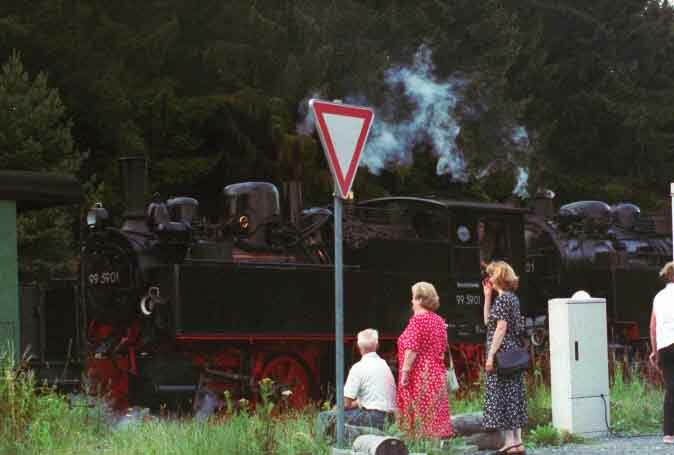 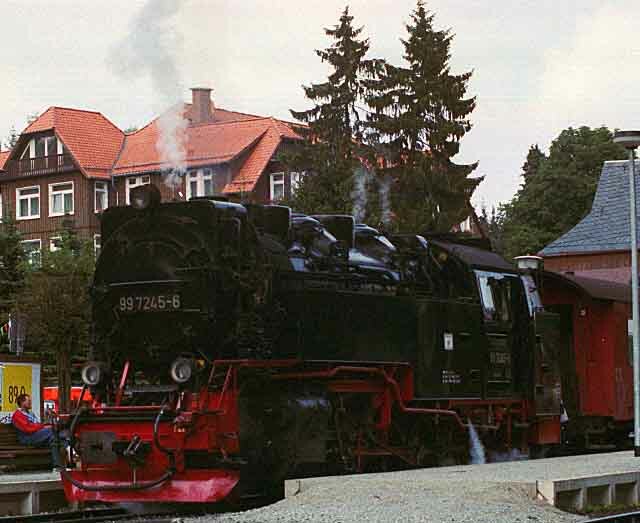 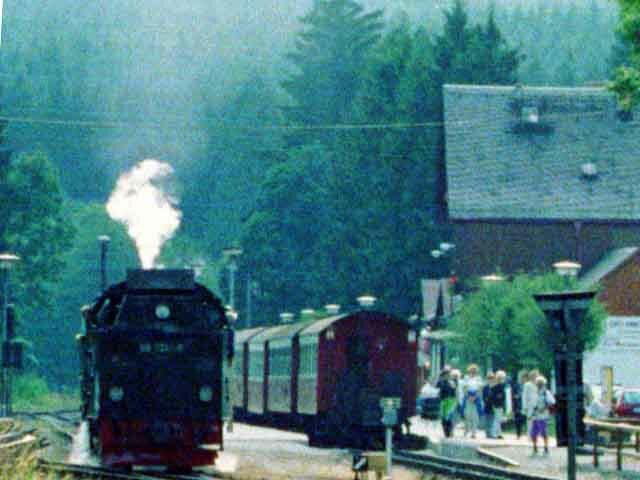 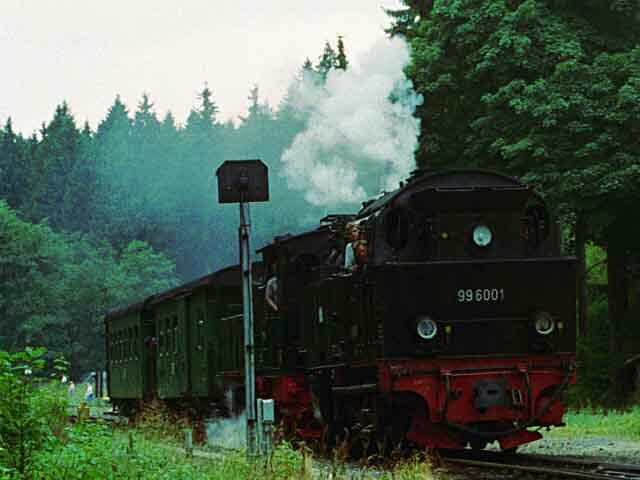 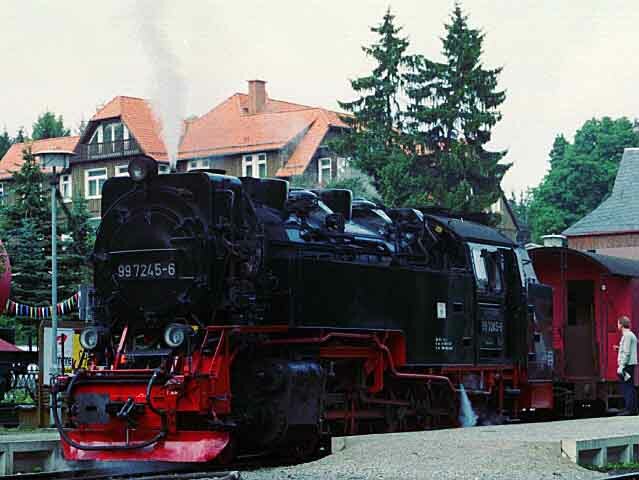 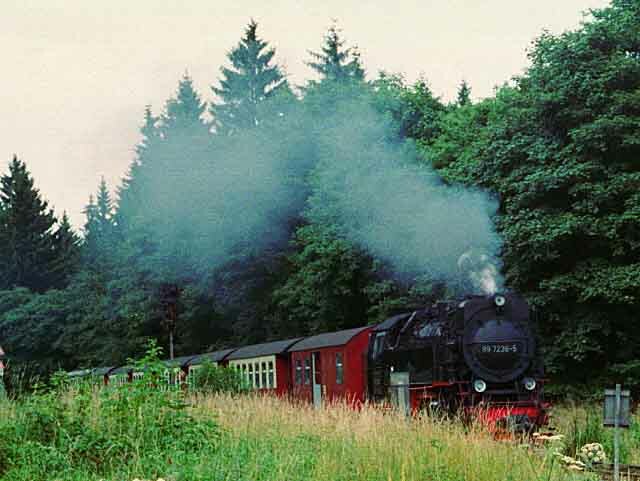 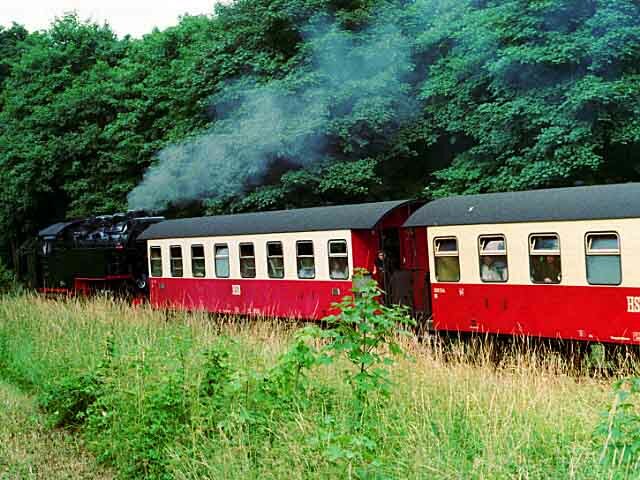 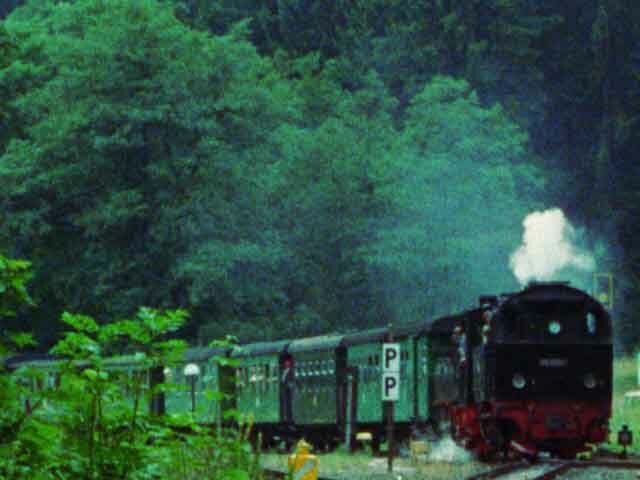 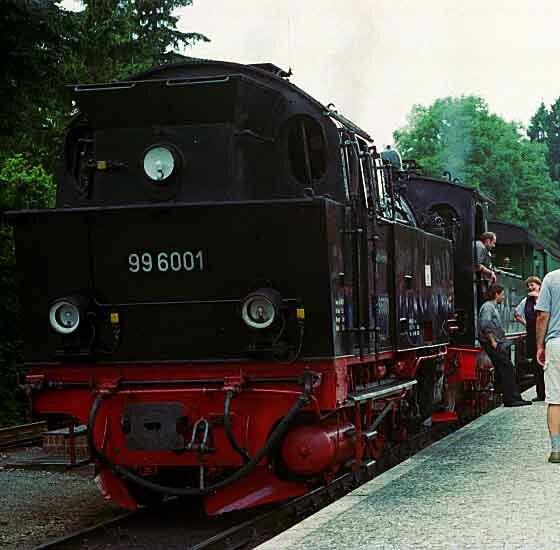 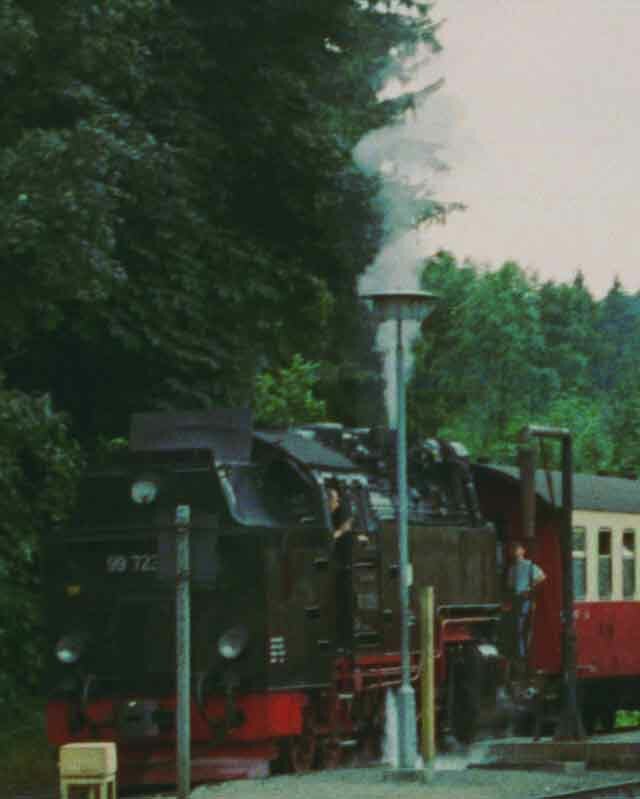 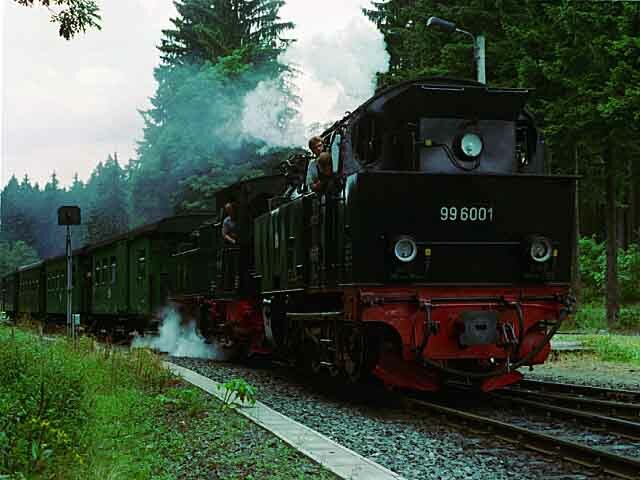 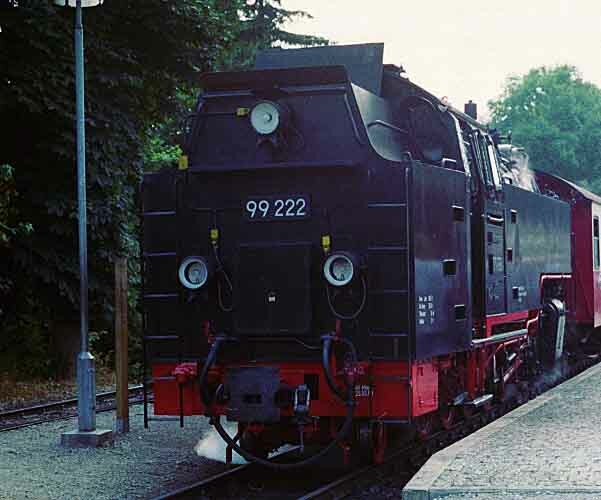 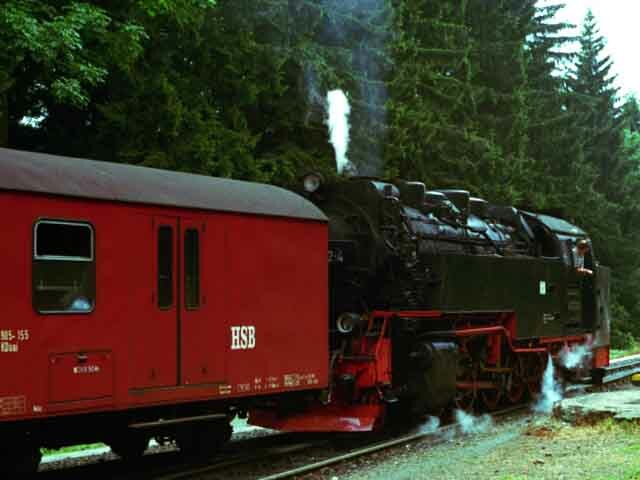 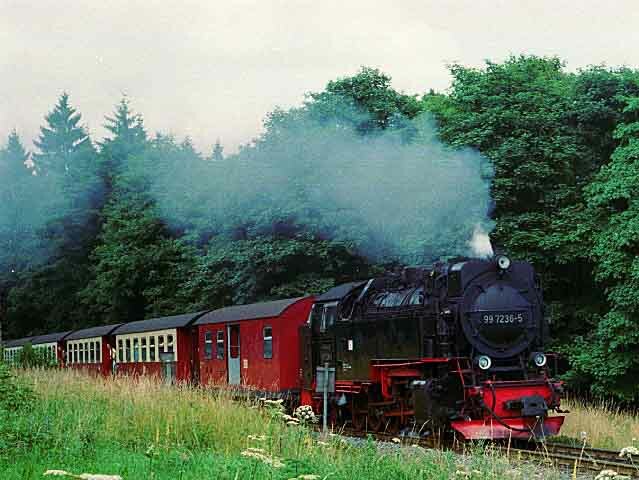 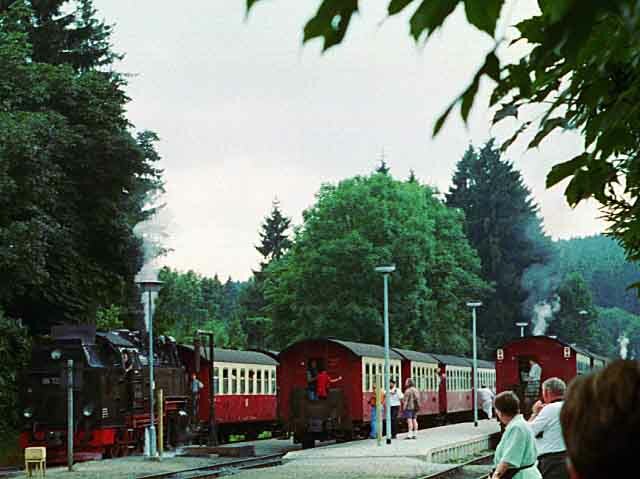 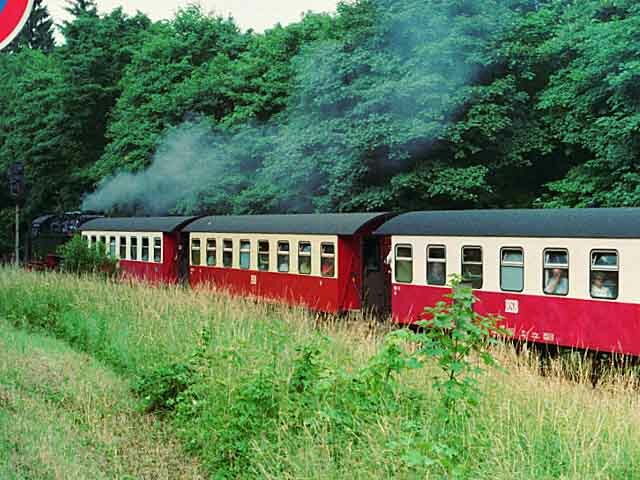 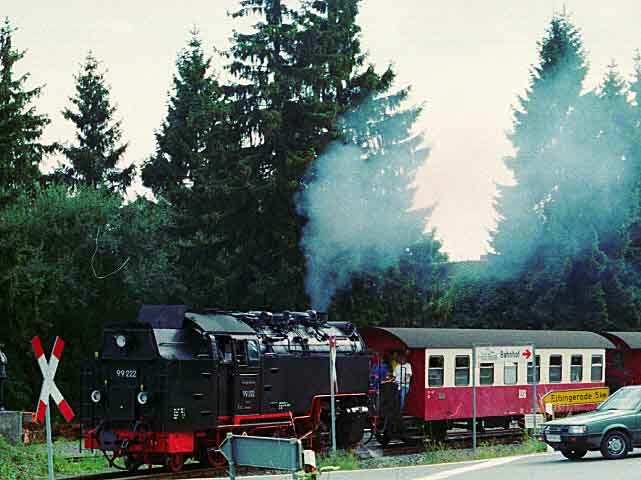 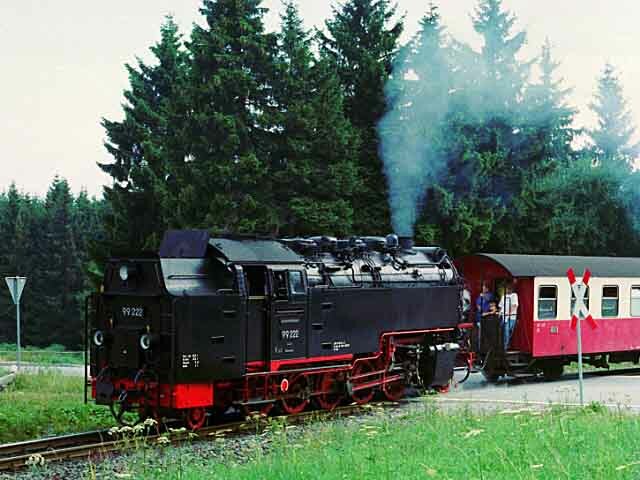 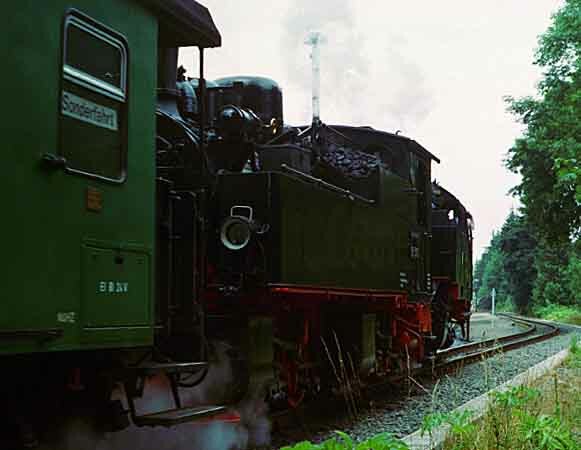 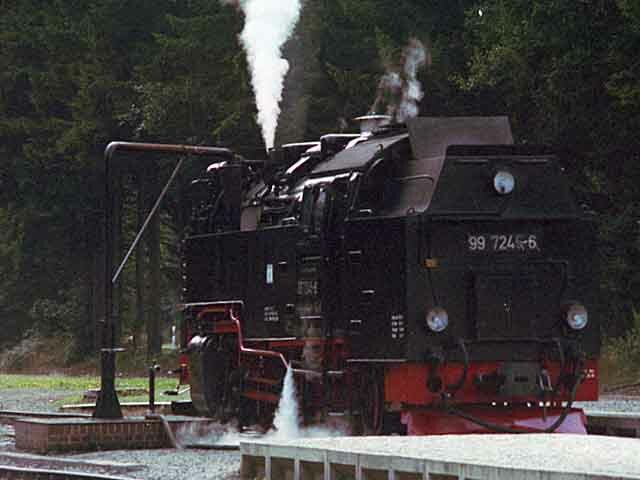 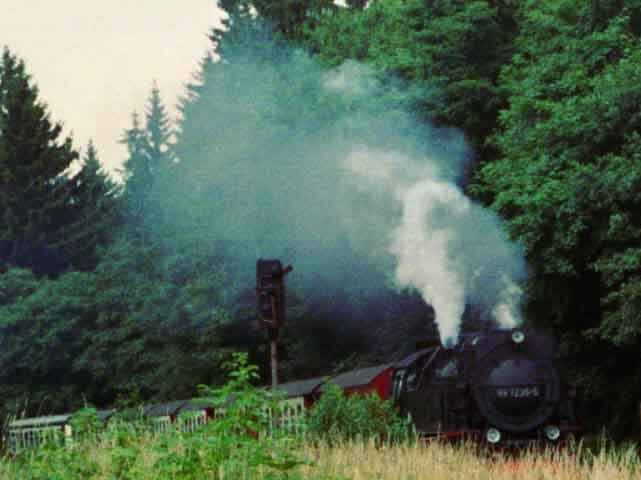 Right: 99 222 departs from Drei Annen Hohne and heads downhill towards Wernigerode.